With the first test day of 2016 looming on 28th February at Silverstone, the Cupcar is in heavy refurb at the moment. If anyone fancies a little drive up there to watch and to blow the cobwebs off their road machines, I am sure the garages will be packed with interesting machinery to view, no entry charge is involved too! You may also be brave enough to sign up and get some early on track activity, Goldtrack are the organiser if you fancy it. I will drive up early that morning for breakfast at the circuit and its a bit of a good one hour road run as well if you avoid the motorway. 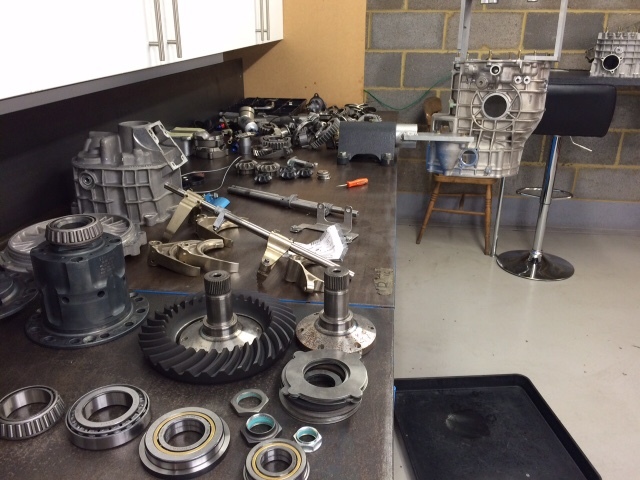 The pic below shows the new gearbox coming together being built by Ollie at RPM Tring, after we discovered a poor rebuild last time has caused significant damage a big investment has been needed. Some very expensive cogs and a new casing in the background. Let's see if it performs well on the 28th. We collect our 991 cabriolet this weekend in agate grey, which is a replacement for the Audi cab, I have only done a short test drive but it's a very capable 911, meanwhile the 968 race car is on the market for sale (if you know anyone who might be interested it's a very well sorted race/track car for £15k plus spares package. Ask for full details, it's race ready for 2016. Goodwood members weekend is 19/20th March (still undecided to go, what are thoughts? Easter weekend should give some little trip opps to get out as we are home the entire time (maybe a coffee/breakfast one morning if enough people are interested?) Again let me know. 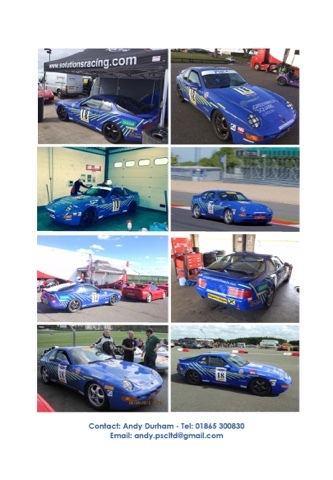 Track day (time for you to sign up and bring your car along....we have a good selection already signed up) at Silverstone on 9th June, it's a great track with safe run off areas...don't be shy! !